Contact us! We will be happy to answere your questions, advice you our prepare an individual offer for you.. The acoustics often suffer in very open rooms with high ceilings. The sound is reflected off the high ceilings, causing a high level of reverberation and preventing any real concentration or relaxation. 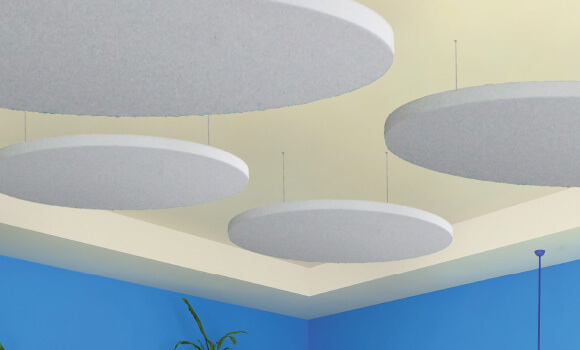 The installation of acoustically-effective baffles enables ideal use of the space below the ceiling. 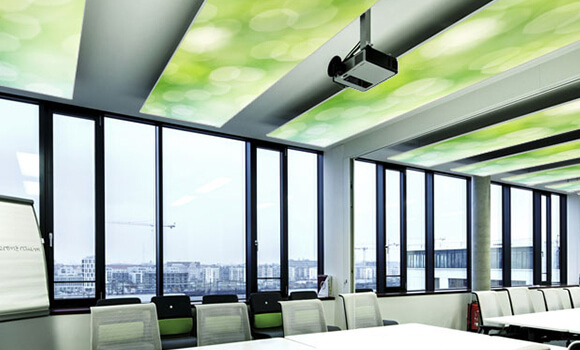 The elements absorb the sound and – thanks to the vertical and height-adjustable hanging system – can be combined with functional ceiling elements such as climate control or integrated lighting or adjusted according to requirements. 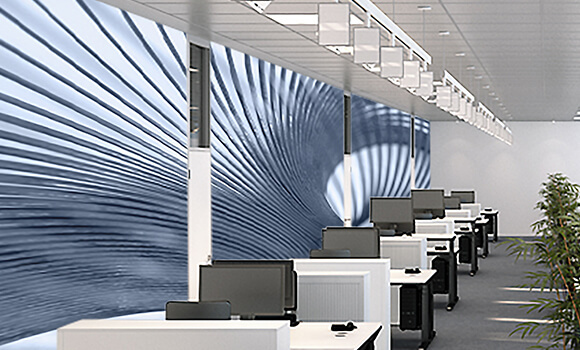 With the Primex baffles, we offer an acoustic solution that is ideal for high ceilings and which can be implemented even with fixed, integrated lighting or climate control ceilings. 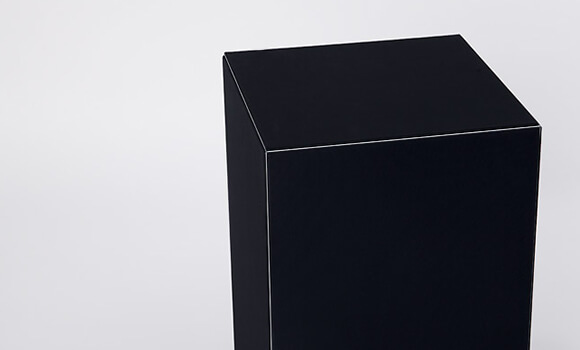 A visually attractive arrangement of the square elements can simultaneously transform the baffles into an elegant design feature. 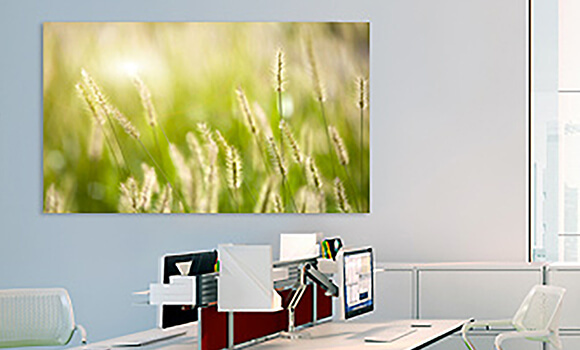 The textile frame system enables incorporation of the printed textile within your own individual design concept, while the “Pure” baffles provide a simple, blank system. The aluminium frame system fulfils the requirements of fire protection Class B2, whilst the “Pure” elements satisfy fire protection class A2 in accordance with DIN 4102.